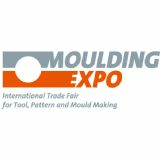 Moulding Expo, International Trade Fair for Tool, Pattern and Mould Making, takes place every two years in Stuttgart and is divided into several exhibition areas. The key focus is on classic tool and mould making as well as pattern and mould making, which is very user-oriented with forming and prototype tools, gauge and fixture construction. In addition, the trade fair shows systems and service providers relating to plastics technology and metalworking: from manufacturers of machine tools and hot runner systems through to software providers. Moulding Expo Stuttgart is divided into classic tool and mould making with forming and prototype tools, gauge and fixture construction and into the area of manufacturers and devices for tool, pattem and mould making (cutting machine tools and precision tools, other abrasive machines, die spotting presses and test presses, machines for surface treatment, welding machines, hot runner systems).